Also known as “nature smart”, Naturalist Learners assimilate information best through a magnifying glass—relating it to the natural world. 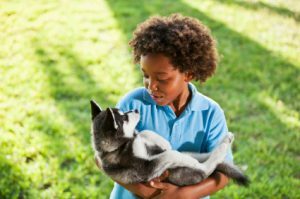 Kids with exceptional naturalist multiple intelligence have a greater sensitivity to nature and their place within it, the ability to nurture and grow things, and greater ease in caring for, taming and interacting with animals. They are often good at recognizing and classifying different species. There are many different aspects of naturalistic intelligence. This intelligence can be seen in weather prediction, gardening, cooking, civil engineering, landscape design, and rock/mineral/plant/animal classifications. The classification aspect of this intelligence can also be seen in categorizing things from the “non-natural” environment (e.g. different fashions by type and season). Parents and extracurricular mentors that “think” like your child can help them start to approach school in general from a naturalist multiple intelligence tact. For instance, correlating spelling lists to plant species. How parts of the more “everyday” words in language help give you clues to meaning and spelling the same way that genus and species helps identify animal breeds. FFA, 4-H, Nature programs, Science and Natural History museums, Zoo or Vet camps, Scouting. This being said, each person has the ability to develop all of the multiple intelligences so even if your child is “into” their naturalistic multiple intelligence right now, don’t fall into the trap of focusing all of your energies in one multiple intelligence area and excluding the others. Rather, use your child’s innate strengths (most likely more than solely naturalistic multiple intelligence!) to approach challenges they may be having in weaker areas so that you can more effectively nurture a “whole” child. Is Your Child Nature Smart?